If you've been scheming about finally opening the business of your dreams, one of these commercial properties in Asheville could just fit the bill. Perhaps you already have a successful business but need to expand your office space. Or maybe you want to start a second, auxiliary business of a more seasonal nature. You will want to check these properties out. The first, 101 Black Mountain Ave., is an historical gem with incredible possibilities. Think office space, retail property, condominiums or dining establishment. This historic brick building that still has the original hardwood floors from its 1902 construction could satisfy any of those business plans. With new HVAC and plumbing systems and off-street parking, this building will appeal to anyone with a discriminating eye for architectural excellence. Greybeard's 66 Great Aspen Way has potential as well, just of a more seasonal nature. This summer camp facility, built in 2002, has a large main activity building including storage, office and a kitchen as well as a large area of covered deck. The 12 independent cabins with covered porches are all in proximity meaning that much of the 83-acre property site is available for expansion. And best of all, the property adjoins more than 4,000 acres of watershed/conservation land. With its recent price reduction, this property is ideal for someone thinking of starting a seasonal business. So if you're firmly established in the Asheville business community and looking to expand, come look into these properties. Or if you've vacationed in Asheville and dream of relocating to the area and opening your own business, then contact Greybeard Realty and find the commercial property to make that dream a reality. These could be the properties you've been looking for all this time! Choosing An Asheville Summer Camp? Why Not Own One! Do you have memories of an Asheville summer camp experience? Do you remember s'mores by the fire and quiet cabin chats with fellow campers? If you have an interest in providing that experience to Asheville vacationers today, consider Greybeard's commercial property listing for sale in the Asheville real estate market. Own your own Asheville summer camp. 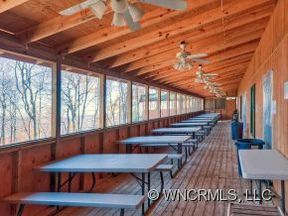 This 83-acre camp facility consists of a main activity building as well as 12 individual cabins, all in excellent condition. These structures, in addition to the two bathhouses, are grouped in one small area of the entire property, leaving the majority of the parcel for camp activities and additional expansion. Constructed in 2002, this Black Mountain property, previously used as a summer camp, features handicap facilities, a modern kitchen facility, as well as recreational facilities. Accessed by a well-maintained gravel driveway, this property adjoins more than 4,000 acres of watershed/conservation easement. For more information about this unique Asheville commercial property and an opportunity to gain access to the growing Asheville vacation/summer camp market, please contact Greybeard Realty. The Asheville real estate market has varied commercial property offerings, but it is rare to find such a charmingly preserved property as Greybeard Realty's 101 Black Mountain Avenue. 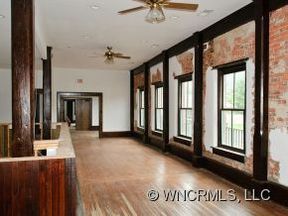 Located in historical downtown Black Mountain, this 8,800 sq. ft. renovated factory building features exposed brick, extremely high ceilings, and old-time character with modern updates. Recently renovated, this property sports new hardwood floors, new HVAC, wiring and plumbing, and off-street parking. The potential possibilities for this prime piece of real estate are limited only by the new owner's imagination. If you're seeking a new property that will blend in with the delightful ambiance of Black Mountain, you have found your location. The property is ready and updated...just bring your own business plan. 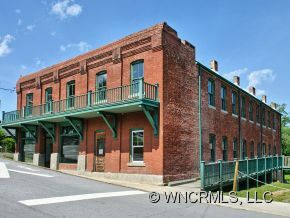 For more information about this property or other Asheville commercial property, please contact Greybeard Realty. Greybeard Realty of Black Mountain announces the opening of Greybeard Realty Commercial, with offices at 706 N Highway 9 in Black Mountain. Jane Shockey, a Black Mountain native with more than 20 years of commercial brokerage experience in Western North Carolina, has joined Greybeard to oversee the operations of this newest area for the real estate company. For Chip Craig, president and founder of the 10-year-old company, the move into the commercial property business is a natural progression for Greybeard. "With our rental management division and our real estate sales office, we already have the marketing infrastructure in place needed for a successful commercial division," he explains. "And we are very fortunate to have Jane Shockey joining us as she brings more than two decades of local commercial real estate expertise to our firm." 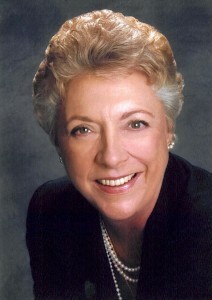 For Jane, it represents a chance to come back to her home town and work with an established team of Realtors. "I'm excited to be able to focus on commercial property in the Black Mountain area," she says. "Greybeard is a natural fit for me, and I look forward to working in the community I grew up in." The commercial division, open immediately, will provide both rental and sales services for Greybeard clients. Greybeard Commercial is a member of Western North Carolina Regional MLS (Multiple Listing Service), Karnes-Western North Carolina Commercial Property Exchange, and Loopnet.